An apology and retraction was made on the front page of the South Wales Evening Post. Nina Hamnett’s book Laughing Torso, which the Post’s junior reporter Dylan Thomas referred to as a ‘banned book’ in his article of January 7th 1933 entitled Genius and Madness Akin in the World of Art, had not in fact been banned as reported. 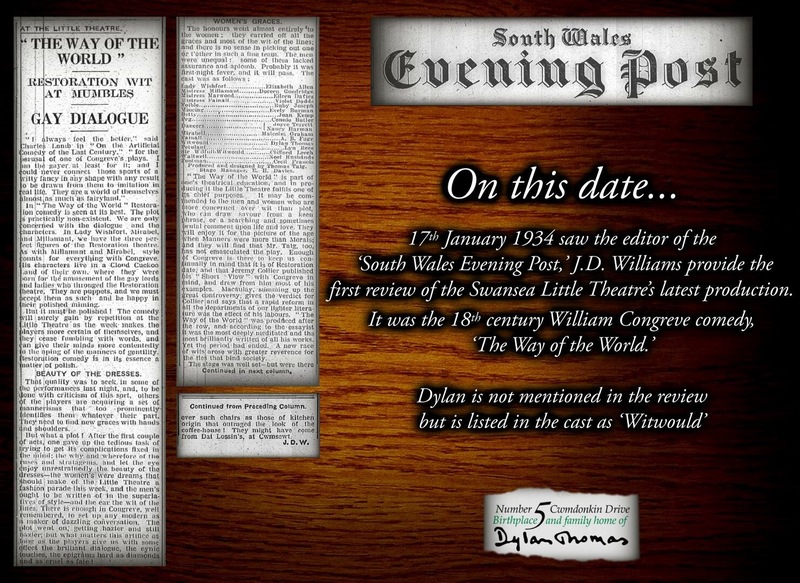 An advert in the South Wales Evening Post gives mention that the first book of poems by Swansea’s Dylan Thomas entitled 18 Poems, will be reviewed in its sister paper the Herald of Wales. ‘Sir,- One can be pardoned for imagining that the paragraphs concerning the poems of Dylan Thomas, which have appeared in your columns, would have evoked a spate of correspondence from the intelligentsia of Swansea. Are these cultural circles so moribund that they cannot see a new star in the literary firmament? Are they so cloyed with picking-over the cold coalitions of the academic school that they have no appetite for the red-blood and meat of the moderns? Or is it due to a distrust of local talent, the phenomenon that compels native artists to assume foreign names to win recognition for their talents? 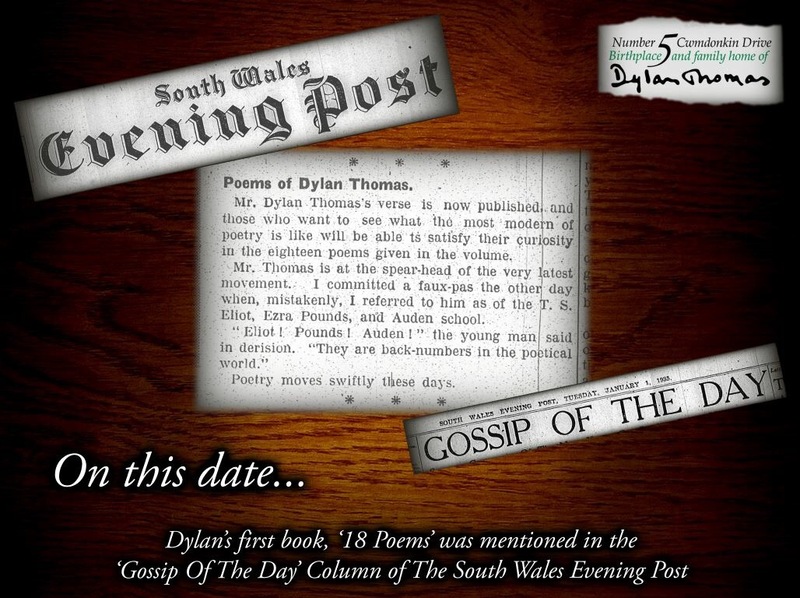 Dylan’s first book 18 Poems was mentioned in the ‘Gossip of the Day’ column in the South Wales Evening Post. Mr. Dylan Thomas’s verse is now published and those who want to see what the most modern of poetry is like will be able to satisfy their curiosity in the eighteen poems given in the volume. Mr. Thomas is at the spearhead of the very latest movement. I committed a faux-pas the other day when, mistakingly I referred to him as the T.S. Eliot, Ezra Pounds and Auden school. “Eliot! Pounds! Auden!” the young man said in derision. “They are numbers in the poetical world.” – Poetry moves swiftly these days.